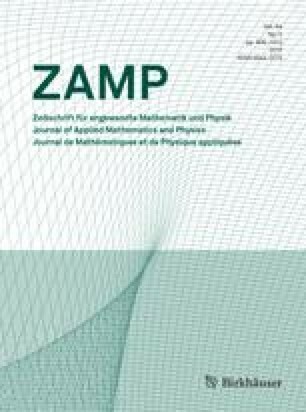 For a class of boundary-value problems involving damped oscillations that occur at three or more dissimilar scales, both matched asymptotic and multiple scale expansions can fail to provide uniformly valid solutions. A novel approach is introduced in this paper that suggests determining a composite scale that matches the dissimilar scales, in lieu of the asymptotic solutions, in their applicable domains. Information contained in the dissimilar scales is condensed into one composite scale, thus reducing the number of independent scales to two. For that purpose, a procedure is presented herein that consists of: 1) identifying the form and location of prevalent characteristic scales, 2) determining a composite scale that matches the stretched or contracted scales in their respective intervals, and 3) invoking a two-variable multiple scale method that employs the composite scale as one of its independent variables. This procedure is applied successfully to a problem that eludes conventional perturbation methods. The corresponding boundary-layer equation pertains to the separable transversely-dependent component of the rotational momentum equation used in modeling oscillatory flows in low aspect ratio rectangular channels where blowing is present at the walls. An expansion series is constructed in the parameter associated with small viscosity. A uniformly valid expression is extracted that captures the physical effects of unsteady inertia, viscous diffusion, and transverse convection of unsteady vorticity, while clearly showing that spatial attenuation of rotational waves is controlled by a single similarity parameter. Analytical results are numerically verified for a wide range of physical parameters and test cases. Key words. Boundary-layer theory, perturbations, multiple scales, asymptotic expansions, oscillations.